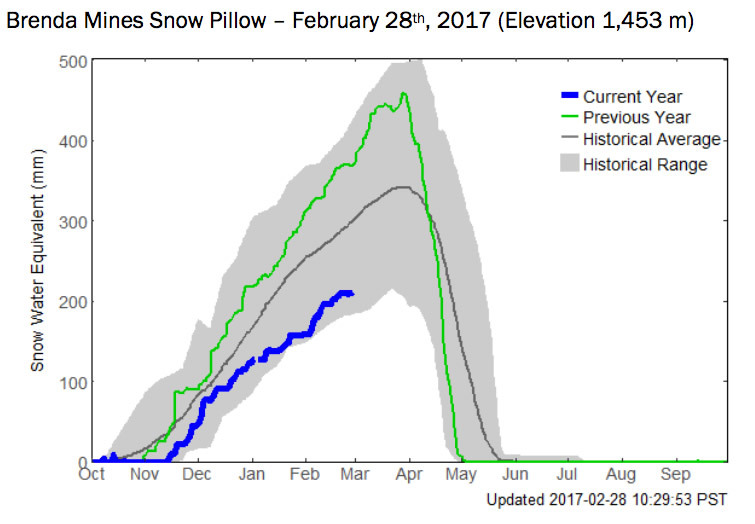 Okanagan snow packs are below average. 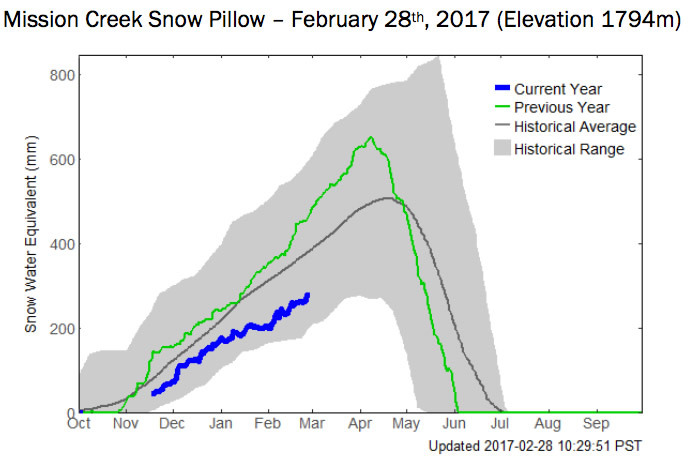 As of February 15, the Mission Creek snow pillow was 72% of normal, and Brenda Mines was 71% of normal. Long-term weather forecasts continue to predict above normal precipitation and below normal temperatures for B.C. and Washington State. 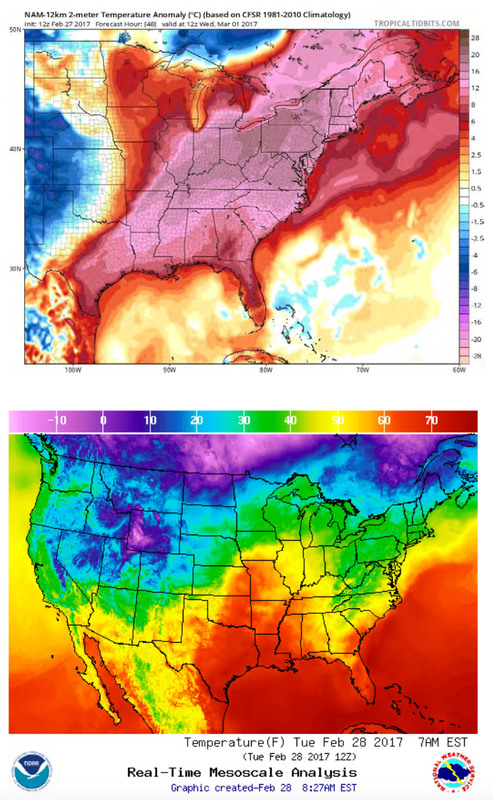 Meanwhile, in the east/southeast U.S. and southeastern Canada there are record high February temperatures, up to 40F (4.4C) above normal. There is an interesting February 15 story on this from the Washington Post: http://tinyurl.com/hkur2da.